I am working on a new version of this map, as the original version has been lost due to some technical issues. I am planning to base the new map on the real world physics of the theoretical Alcubierre Warp Drive, which is a (real) theory on how to make FTL possible by warping space around a ship to move it very quickly to its destination. 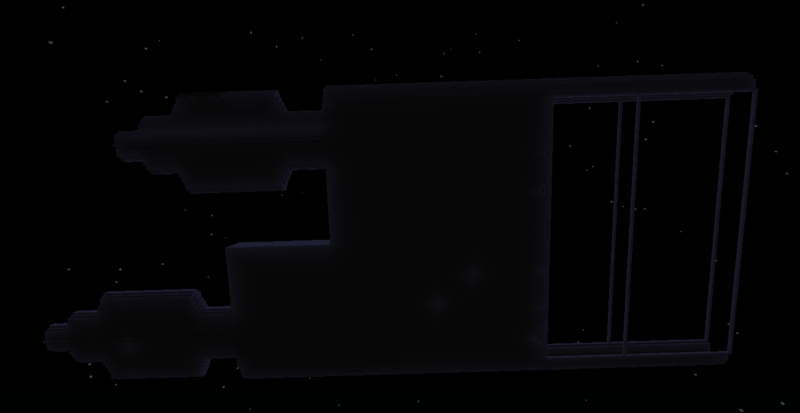 In order to make the map more accurate to this real-world model, I will have to change the design of the star ship to one that would be possible to construct in the far future. 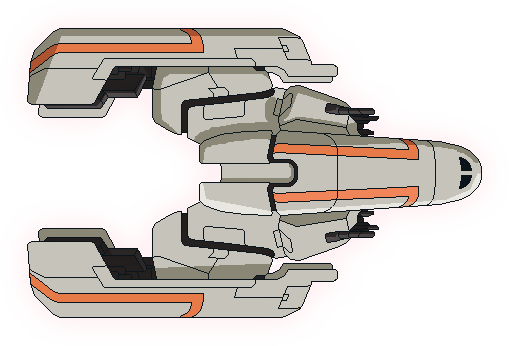 The original design was based on FTL (the game's) design, however, after doing research on the warp drive, I decided it would be better to make it as realistic and accurate as possible in order to show the possibilities real-world physics gives us in interstellar and intergalactic faster-than-light travel. This new design reflects Figure 1 below. Also, the reason I haven't been updating the map recently is due to the fact I have been busy in real life, so sorry for the inconvenience. Thanks for your support and interest, and for supporting me in advocating a model that may actually make FTL space travel possible in the future. Figure 1., What the new model is based on. I will first work on the main chassis, or shell, of the ship and getting it to look like an actual ship. Secondly, I will finish up the exterior, i.e. making it look fancy and adding some effects and aesthetics as well as finishing its form and structure, respectively. THEN I will work on the interior, probably first the structure, then the layout of the rooms, and finally the redstone to "drive" both the ship and the aesthetics of the map. Once I have done that, I will add the story line to the game and by then I should have the Beta version out! After almost a century of research and design, the Mine-craft Space Agency (yes, I know I'm not creative with this name) was able to create a ship capable of reaching speeds faster than light, by using space time warping. You are elected as the first able human to travel at such speeds across the universe, as you are the only human being who knows the design of the ship and the procedures to control it. At first the flight goes great: the view is amazing, you can conduct more experiments than ever before, and the universe is awesome. However, as you travel you realize that the ship hasn't been properly inspected, and well... the fuel is running out. Furthermore, it appears that you aren't alone neither in space... nor on your ship. 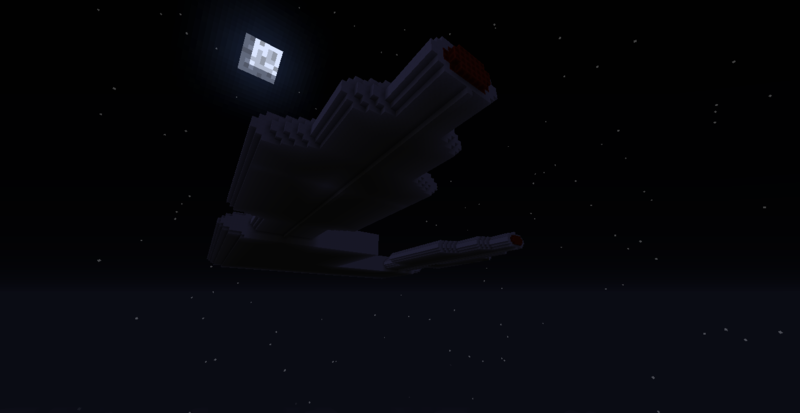 As of now, I have began working on the engines and the back of the ship. 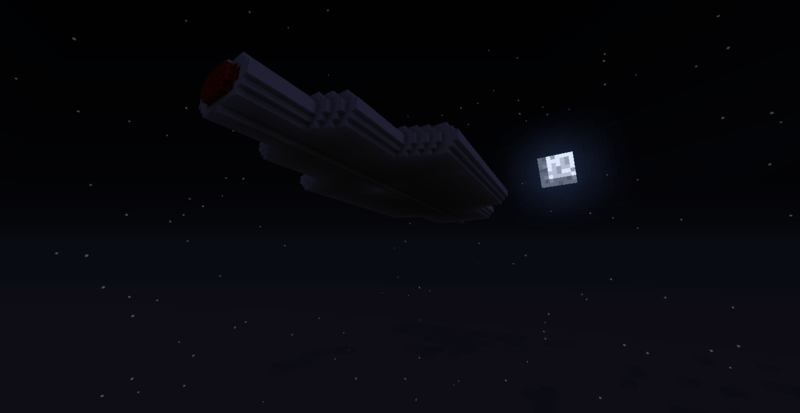 Afterwards, I will start on the main wing, and by then I will be close to finishing out the shell of the ship. 8. Implementing quests and storyline. Limited power, and frequent power-shut downs. Various modules, which contain important information and materials needed to restore power. 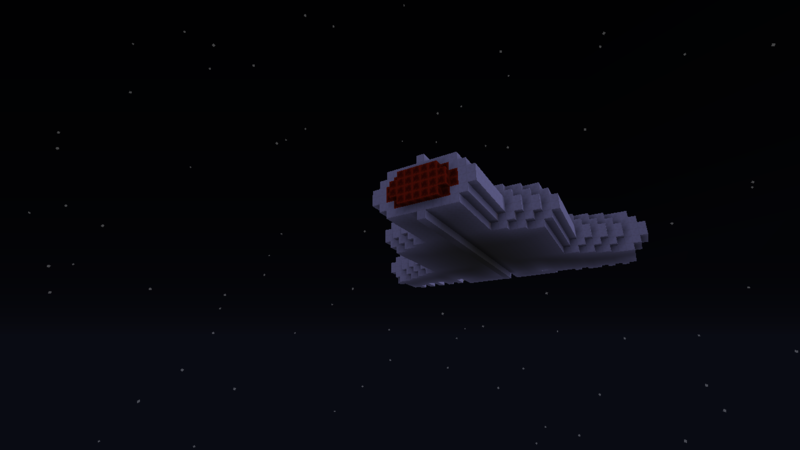 A maneuverable ship, which is controlled through redstone\commands. Side quests, which can increase the chances of a good or bad ending. A reboot system similar to FTL and FNAF 3. Celestial terrain, including asteroids and dwarf planets. A ship large enough to explore, with most of the adventure occurring on it. Isolation, with no threats outside the ship... Maybe... NOPE! Alerts, using commands, and hostile events. Multiple endings, based on player's decision. And maybe a custom resource pack... Maybe. This is still a big WIP, images of my work will be displayed on posts, until I get familiar with this website. Please don't harass me. Thanks For Viewing! PS. I am NOT an expert, nor someone who devotes their life to minecraft. I will try to work on this whenever I have free-time. I will try my best not to get shouted at about how horrible this map is. "Where's The Image a123b23, No Image No View"
I will create more as I work on this. I will update these pictures daily. Thanks For Your Interest! 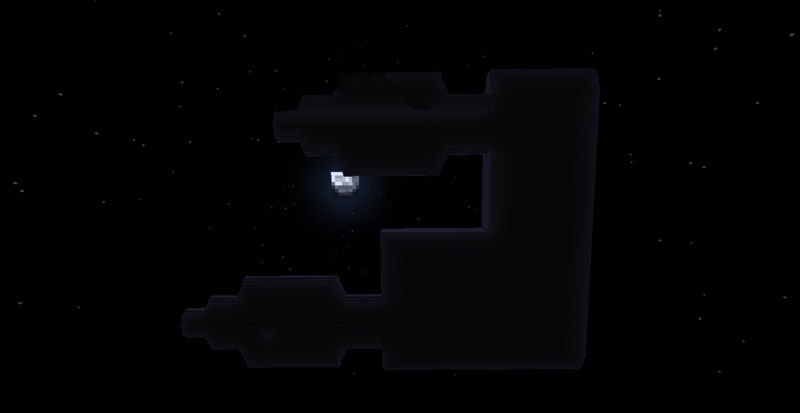 This is an image of one of the engines, because I'm starting with the back of the ship. P.S. My Minecraft name is a123b23, if you are confused. This is still a big WIP, do not think this is the whole ship, it's just a small part of an engine. 2nd Day and more images! 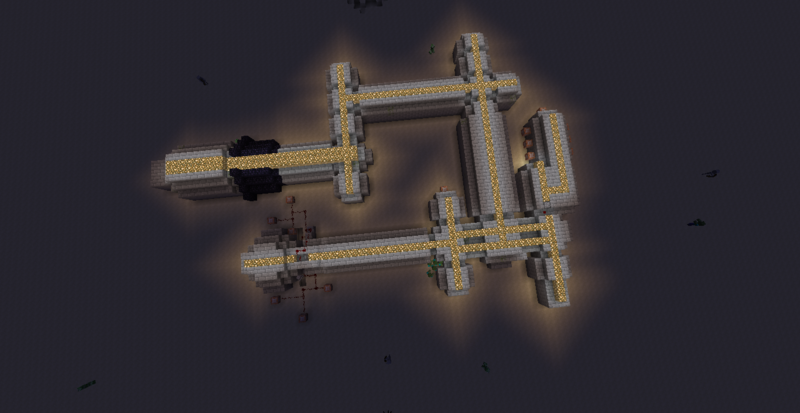 I have finished the first engine, and by using the worldedit commands, I will create its twin. 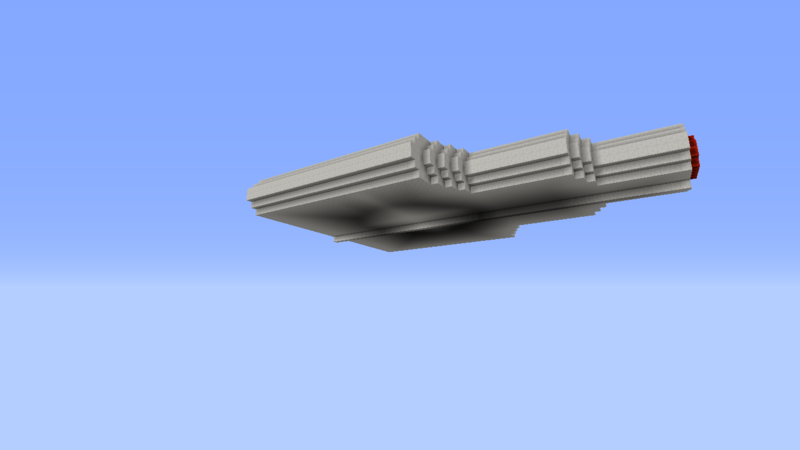 Afterwards, I will start the main wing and I should be able to finish up the back shell by the weekend. The twin engine and what I finish of the wing will be attached to this same post today, hopefully. Thanks for viewing, and for your interest\support! I was busy the last few days and tried to upload this post almost everyday after the last one. But finally, I have the images I need! So, here's the ship design I came up with (I couldn't align the engines with the \clone command, so it is original; but not so FTL-ly as I expected ), as well as images of the completed twin engines and the beginning of the wing. So thanks for you interest, and I will try to upload daily next time! The Shell, both back and frontal should be done by the end of this week. Also, my brother is working on a map too and wants you to guess what it is based on the outside, because everything is on the inside . Reply your guesses to another thread. That image is attached also. The back shell is almost complete! Hey Guys, there is an update above as to my absent and on changes in the map. The original map was deleted and after some real research, I decided I wanted to make the map more realistic than originally planned. The point behind this was to allow the map to be somewhat educational on the topic of real-world FTL made possible by general relativity*. Yes, I know this sounds complicated, which is one reason that the map may not be so large and intricate as originally planned. I needed to model the new map on the real physics, which means it is sadly smaller, making it less of an adventure on-board like it was intended, and more of an adventure off-board (ie exploring the galaxy). A good side-effect is that it will now model the game FTL more closely-as it will allow for less exploration of the ship but more of the galaxy, while still fulfilling its purpose in advocating real-world FTL (faster-than-light) travel theory. Thanks for your patience and sorry for the delay. I am really interested in FTL, as it may actually allow mankind to achieve interstellar (travel between stars) and intergalactic travel (travel between galaxies) in the far future, and thus I thank those of you supporting this new map and supporting FTL research! 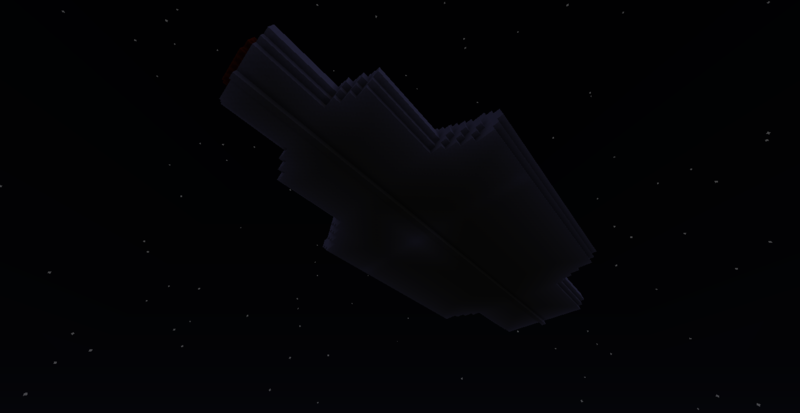 Yours Truly, a123b23 (Minecraft Name). How it would work (in theory).